Every couple of months I'll roll up my sleeves and step into the kitchen and try to recreate the Ukrainian honey cake recipe from my mothers childhood that she still talks about. It's hard because I don't know what it's supposed to taste like and all my mom recalls is that it had strong coffee in the recipe, so I'll putter around, trying out different proportions, adding a spice here and there, hoping I'll come close. I'll wrap it up and take it to my parent's house, make a pot of tea and hold my breath as my mom tries a slice. So far I've come close, and I've gotten some good recipes in place, but the perfect one still alludes me. Preheat oven to 350F. Sift flour, soda, baking powder, spices, and salt together into a bowl. Whip the eggs until thick and light, about 5 minutes, gradually adding the sugar. Beat in honey, coffee, and oil. Add the dry ingredients and beat on low until combined. Pour into a greased and floured bundt pan and bake ~ 30min, until toothpick comes out clean. Let cool a few minutes and unmold. Mix together all the icing ingredients until it forms a thin paste and drizzle over the cake to give it that honey tea with lemon flavor. Whether or not this is the perfect cake from your mother's childhood, I'm going to have to try it! 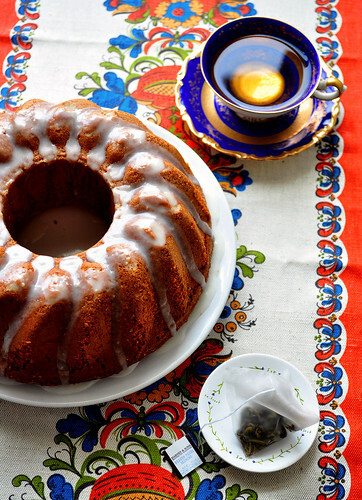 I've been searching for a great honey/spice cake, this one looks delicious. So great for fall! It's cool and rainy here today; this would be a great treat. Good luck on Project Food Blog! Lovely cake- Even if this isn't the cake your mother remembers, I'm sure it's delicious. I love the honey and the spices- I bet it smells heavenly! Yum! The cake probably tastes good no matter what! 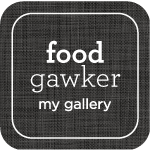 Good luck finding the perfect recipe and project food blog! This looks and sounds like a wonderful cake for tea time, even if it wasn't your mothers! I love how certain recipes can bring us back to special memories. Your cake is lovely, and I particularly like the drizzle of glaze. This looks so good. I am going to save this just to have as a coffeecake. Nice post. You got my vote! Your cake looks great! You have got my vote! This sounds delicious. Do you think it might work to bake the batter in muffin tins instead of a bundt pan? I love your photos! Best wishes on round 2. Beautiful cake! I cannot bake at all, so I definitely give you credit for undertaking it. You have my vote! Such a wonderful "journey" you're going on to find the exact recipe for your Mother. I hope that you find it, however this recipe looks so flavorful with all of the spices and coffee. Good Luck in the competition. You know you have my vote. just voted for you because I seriously can not resist bundt cakes. That is a gorgeous cake and I'm definitely going to bookmark this so I can make it later. I do love both honey and coffee in desserts...and your cake sounds wonderful. Gorgeous photos, they really pop. Hi there, I've mentioned you on my blog because I've given you a "One Lovely Blog Award". You can read more about it and your blog on my blog. The cake looks lovely. I'm stopping by from Brittany's. You have a lovely blog. I'm your new follower. Will be back reading your other posts. Have a great day! p.s. Have you ever tried tea-infused honey? Thought you might like it..based on this entry. This is so beautiful, as a bundt always is. I've been looking for this recipe too! 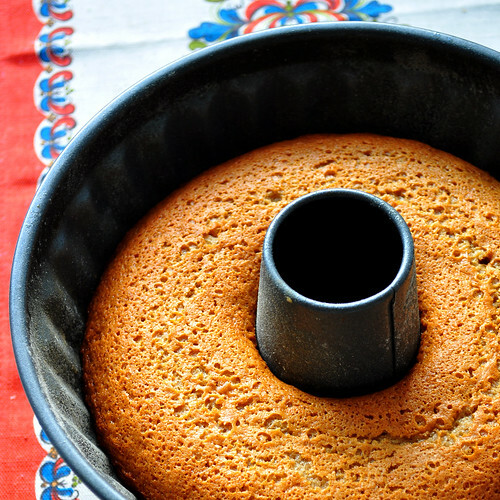 trying your recipe for ukrainian honey cake -- it's in the oven right now. if it helps, my mom- right from ukraine- used cardamom with a very small amount of cinnamon in her cake. unfortunately, i don't have her entire recipe. i hope this one is close. My Mom's recipe calls for buckwheat honey. Since she passed away, I've made it every year; sometimes twice a year. It is close, but still doesn't "quite" taste like my Babi's. Her's was SO moist!